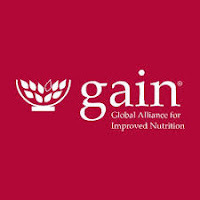 GAIN’s purpose is to advance nutrition outcomes by improving the consumption of nutritious and safe food for all people, especially those most vulnerable to malnutrition. We aim to improve the consumption of safe and nutritious foods for—at a minimum—1 billion people over the next five years and target major improvements to food systems, resulting in more diverse and healthier diets for vulnerable people in countries where we work. We are seeking to deploy a Senior Project Manager who will be responsible for ensuring that the interventions led by GAIN and by its different partners are coordinated so that overall project milestones and goals are met. S/he will be expected to provide technical support as required. The ideal candidate will have extensive and excellent project management capabilities. You will be required to be familiar with community level project implementation and management of projects. As a Senior Project manager, you will have extensive experience working with the Government and senior level partners and in implementing projects, preferably in partnership with multiple partners.